Cities are allowed to collect revenue by levying a property tax. Regardless of where you work, your taxes are paid to the county in which you live, and are then divvied up to the communities based on a complicated Local Income Tax (LIT) formula. Property taxes are used to fund a wide range of civic services, such as police and fire services, engineering, code enforcement, debt service and more. Property taxes make up just under 50% of Carmel’s annual general fund budget, and 1/3 of that comes from businesses. Carmel’s strategy has been to attract and retain large employers and national headquarters in order to keep our residential taxes low. Carmel’s strong fiscal management has allowed us to maintain a very low tax rate, while at the same time provide our residents with excellent city services.  Out of 118 cities, Carmel’s rate is currently 9th lowest.